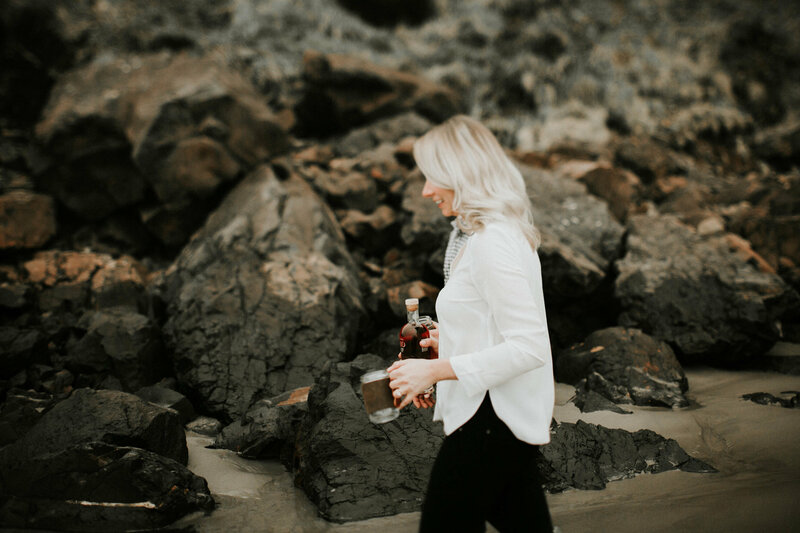 Perfect little sunrise session that included whisky + chasing down shoes taken by the waves and a whole lot of giggles. 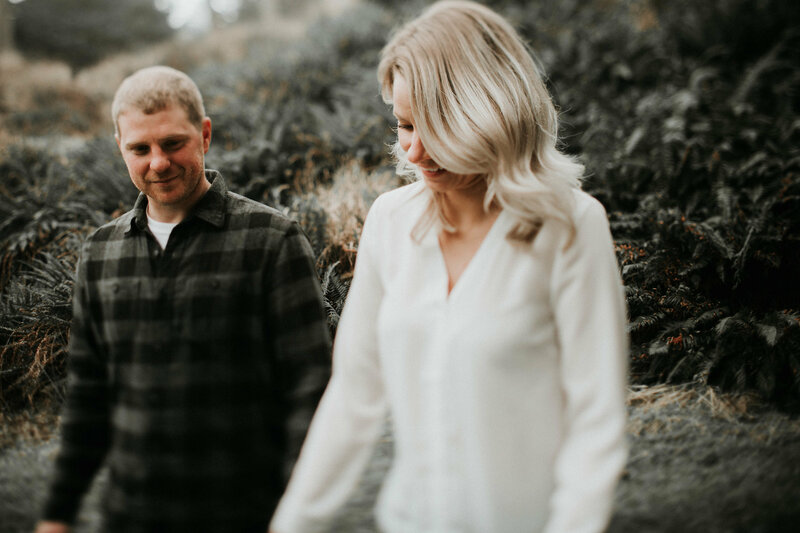 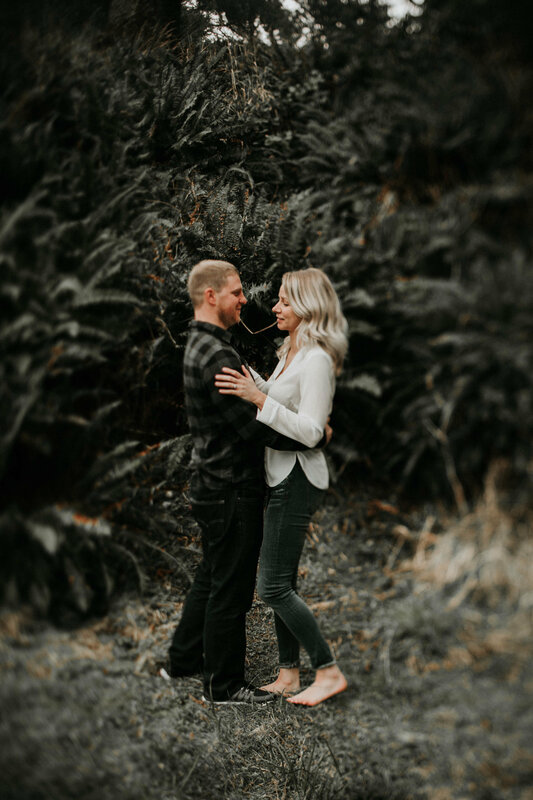 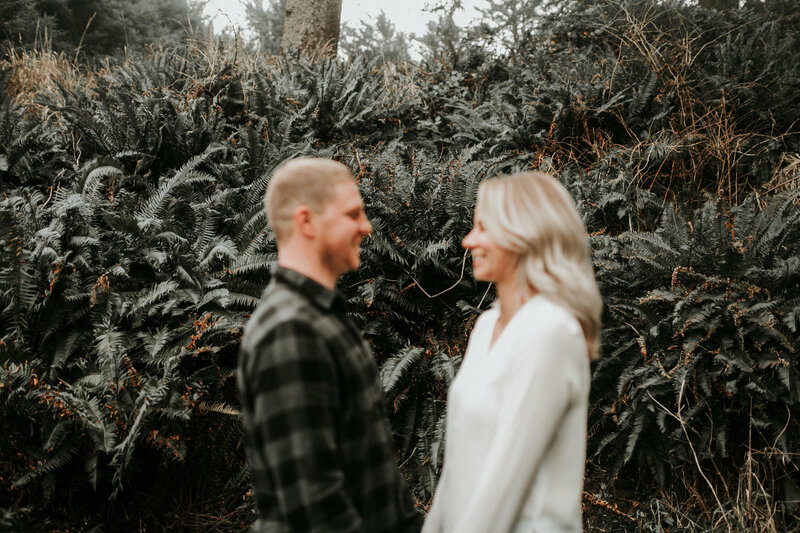 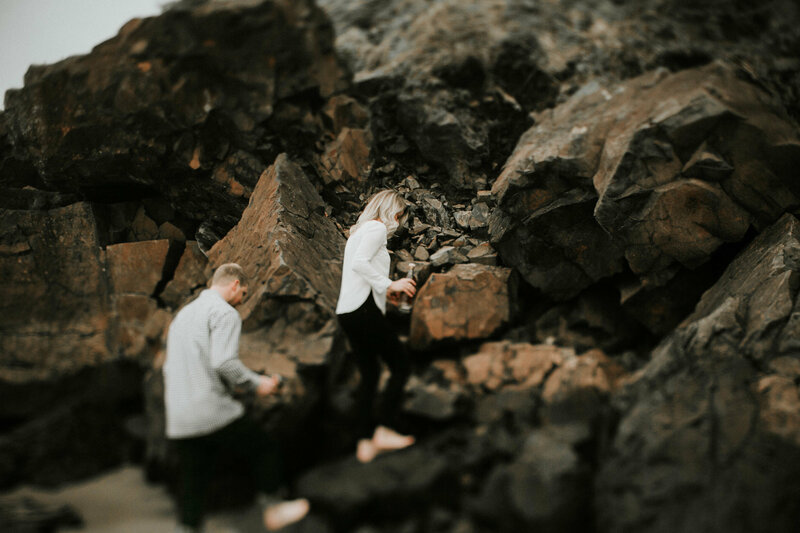 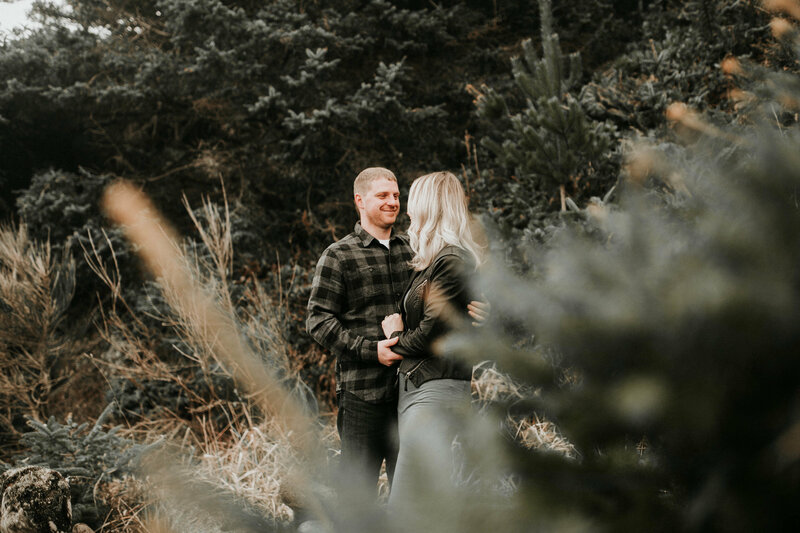 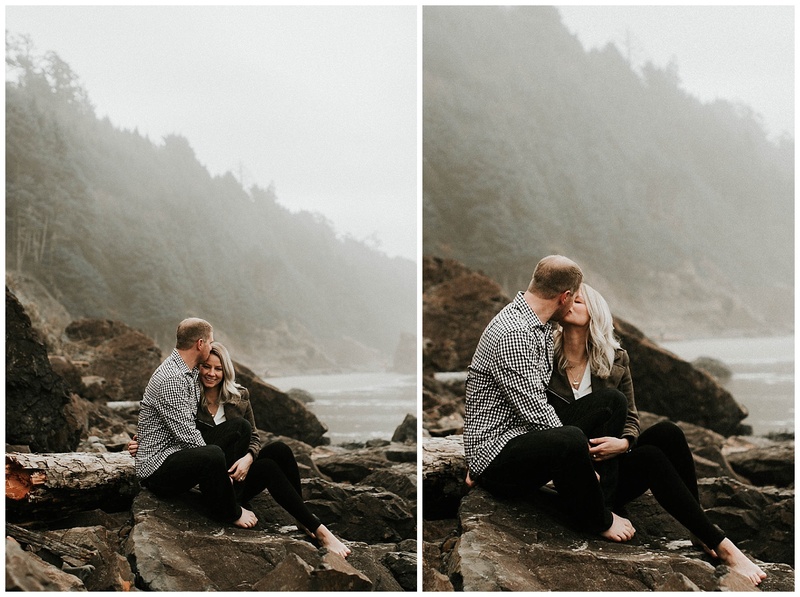 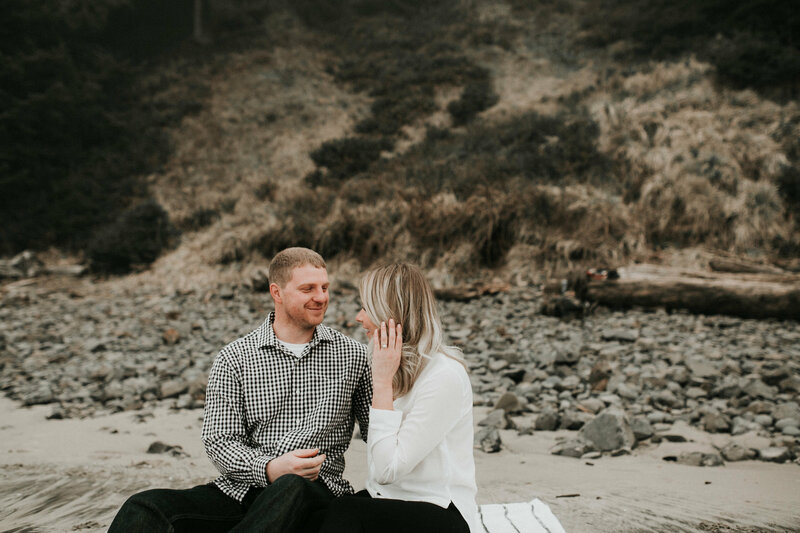 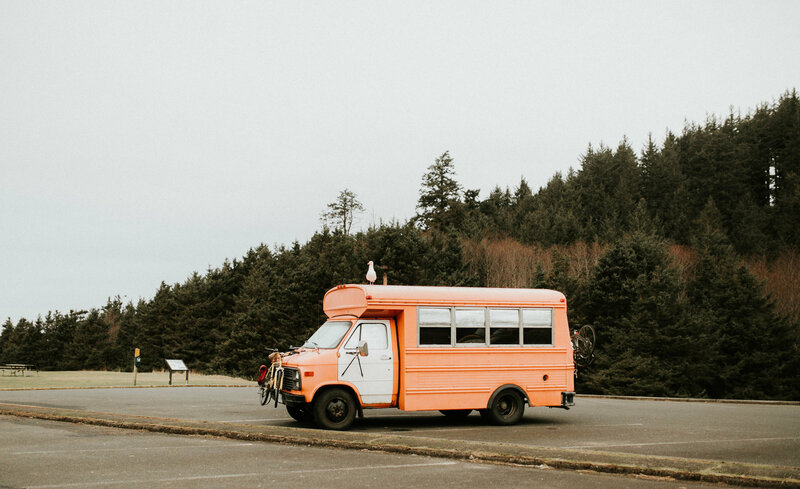 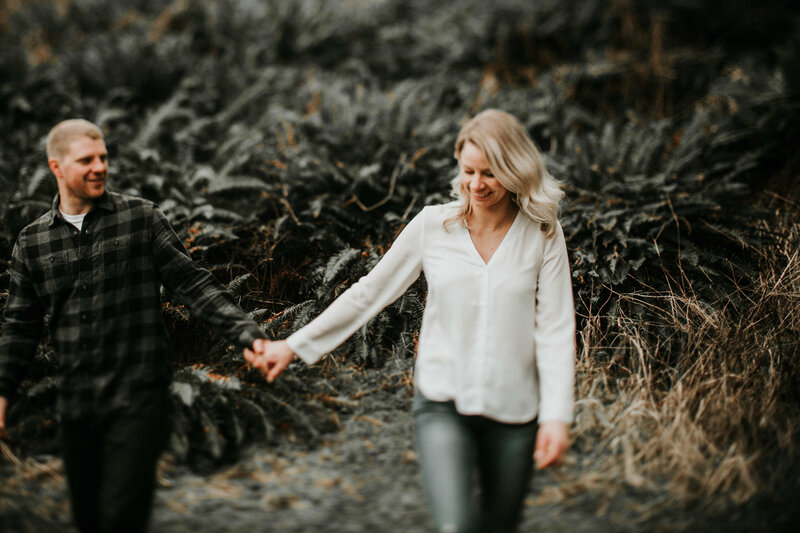 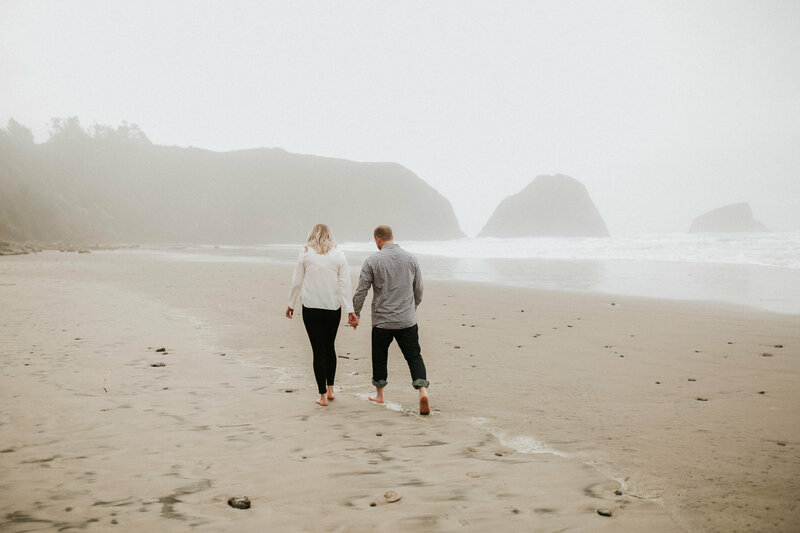 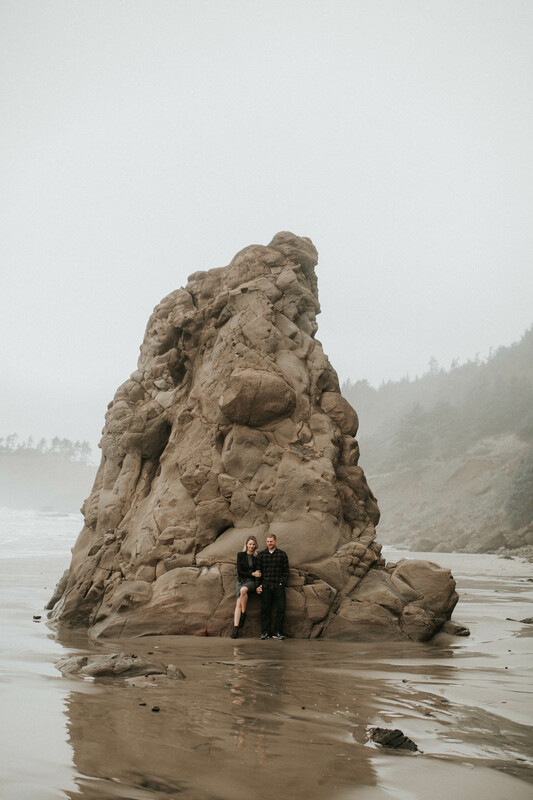 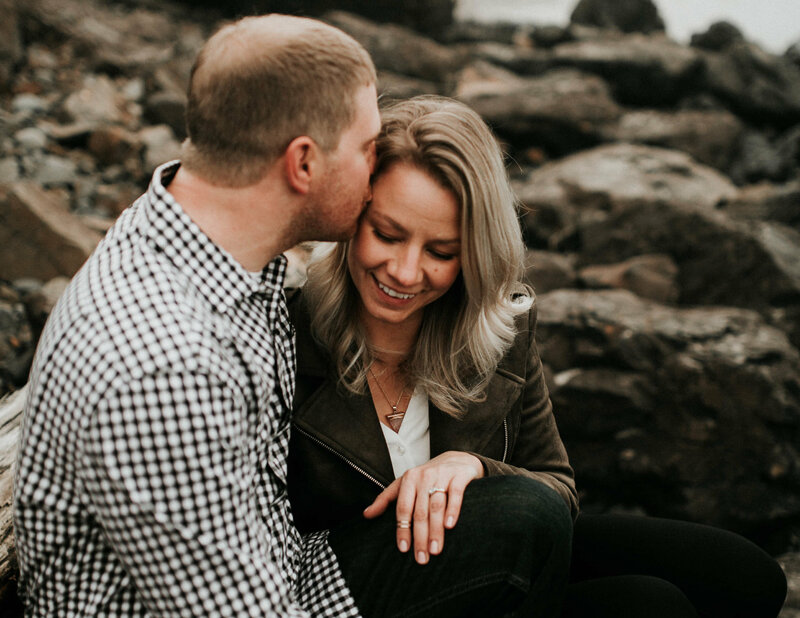 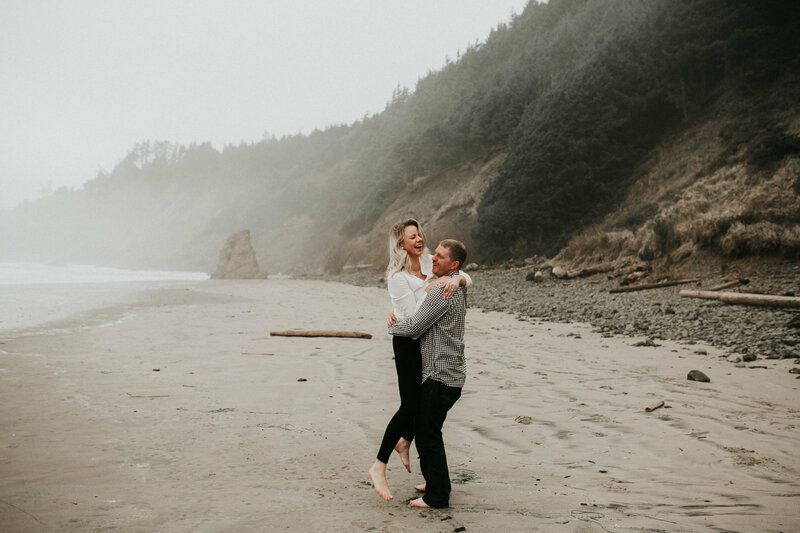 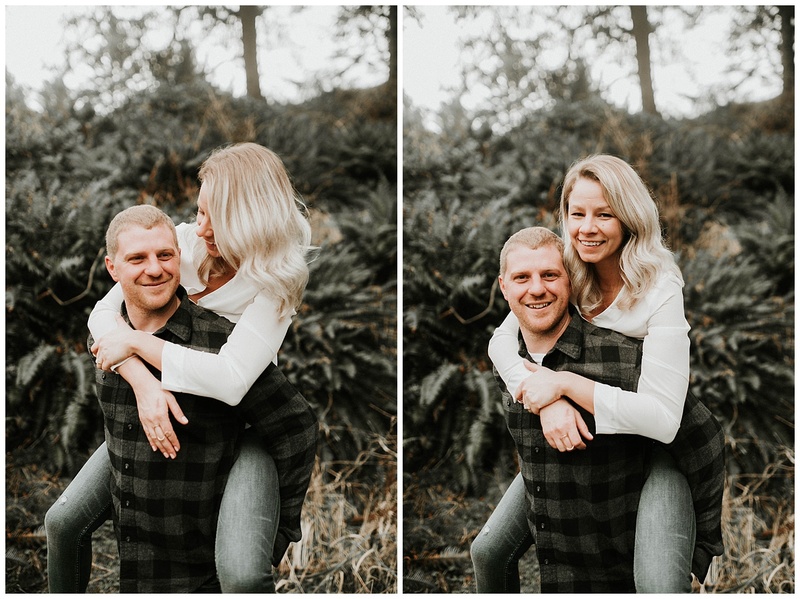 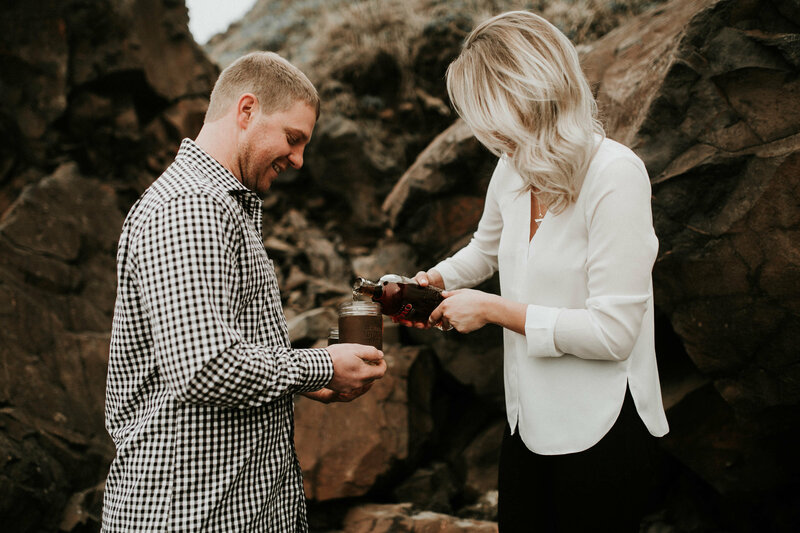 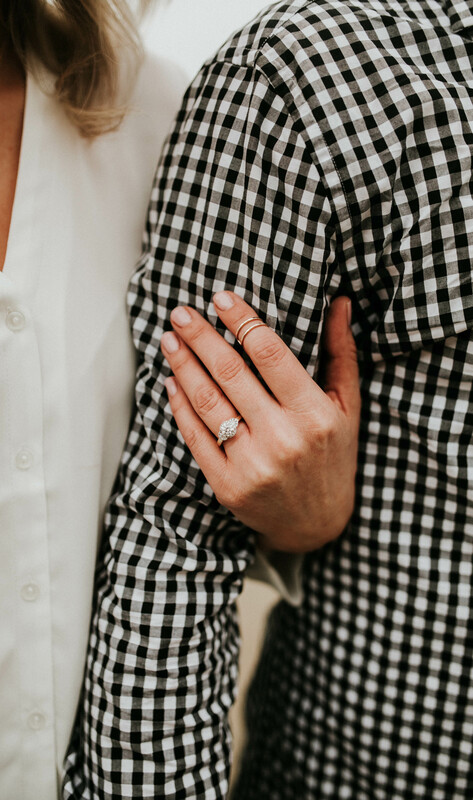 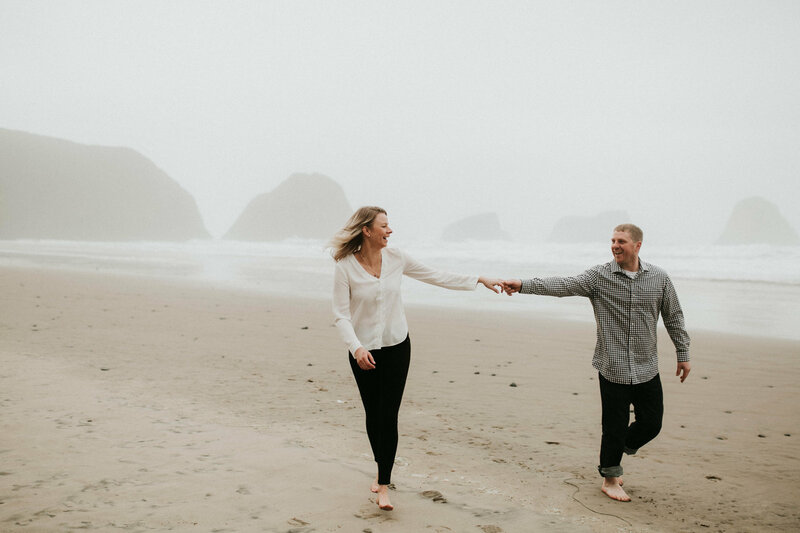 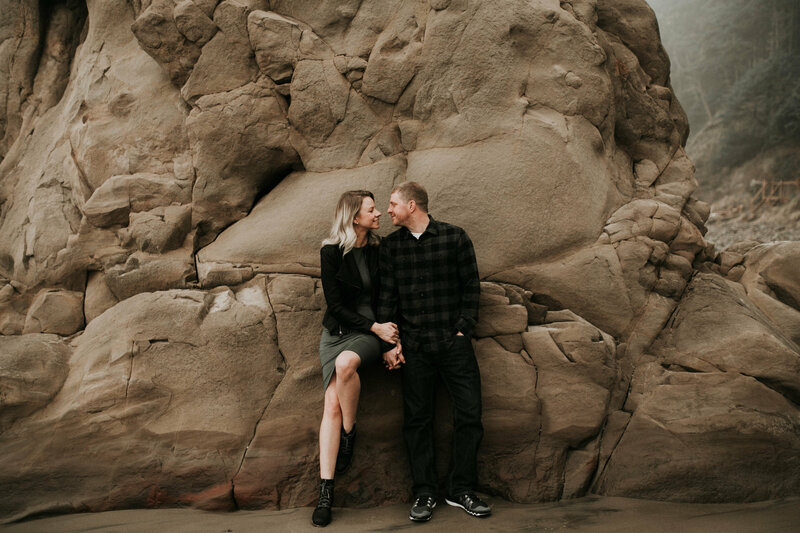 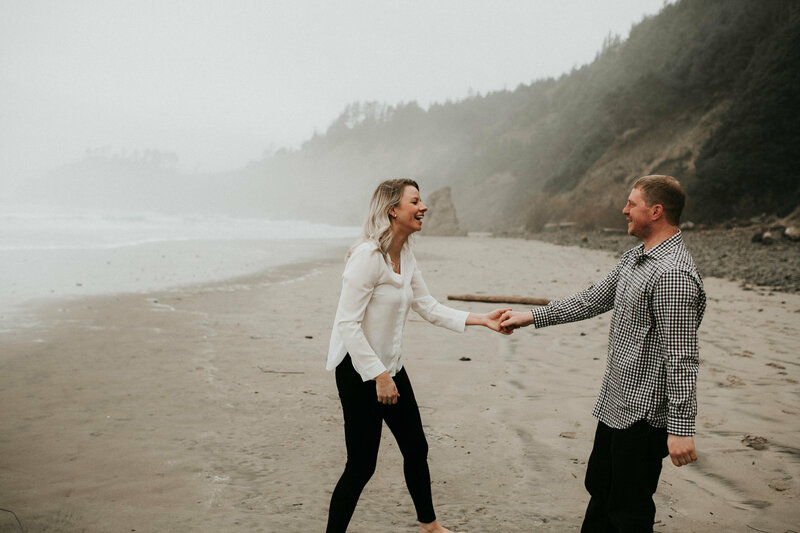 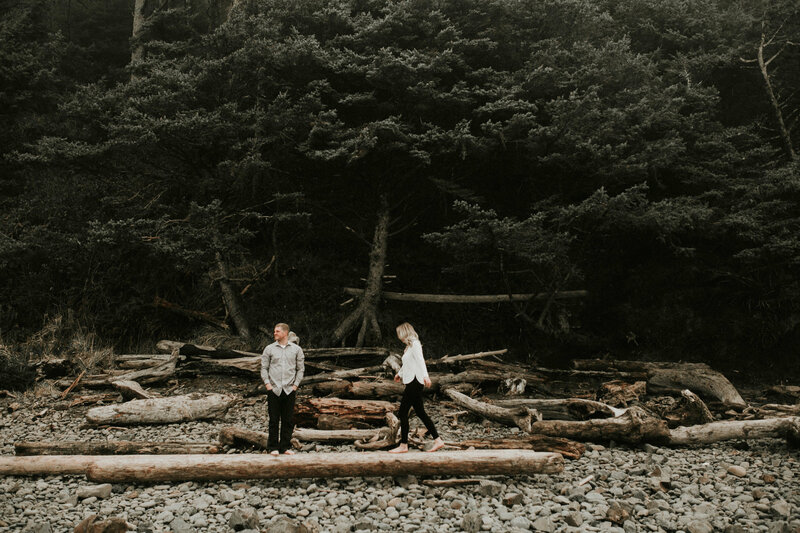 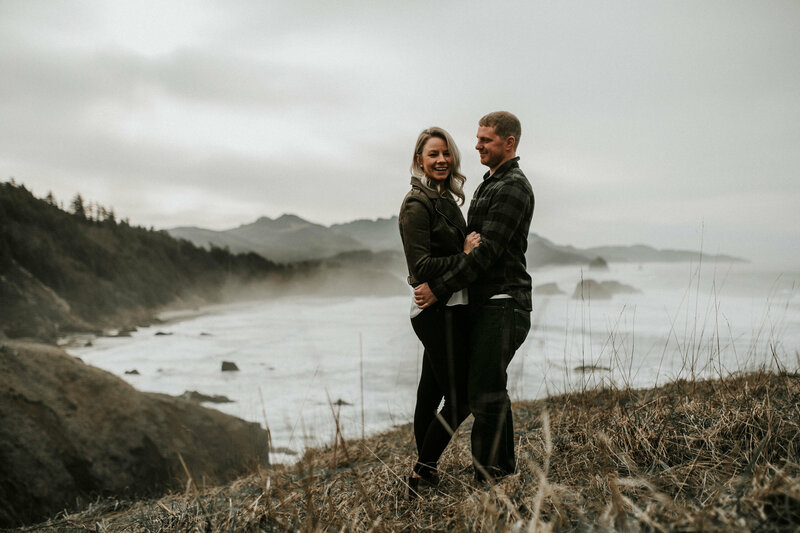 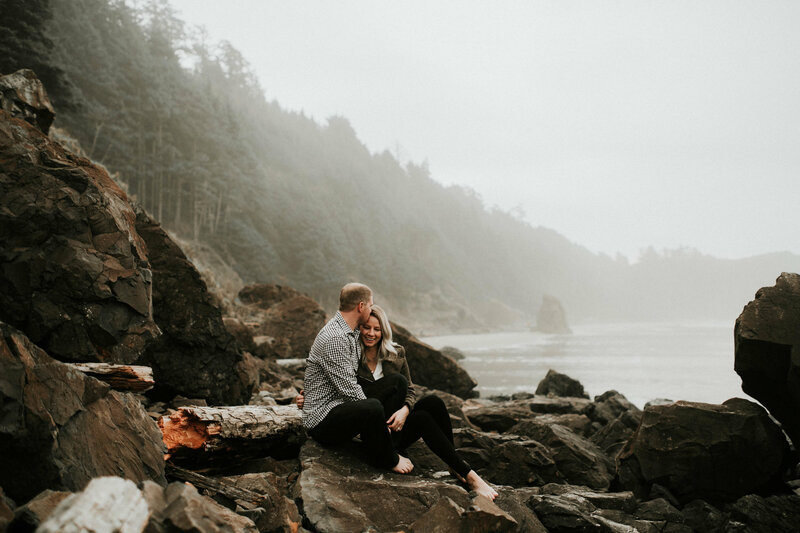 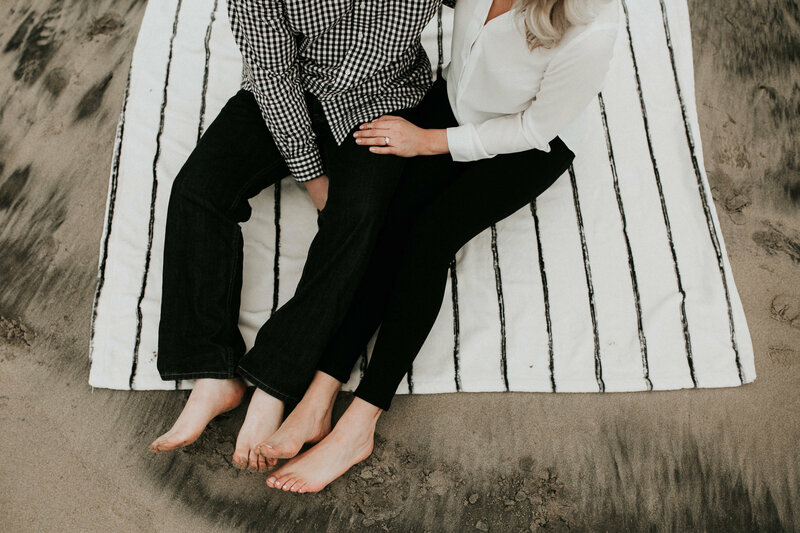 We originally planned for a snowy engagement shoot but when she emailed me mentioning that we could also go to Ecola State Park, I basically squealed and couldn’t say yes fast enough. 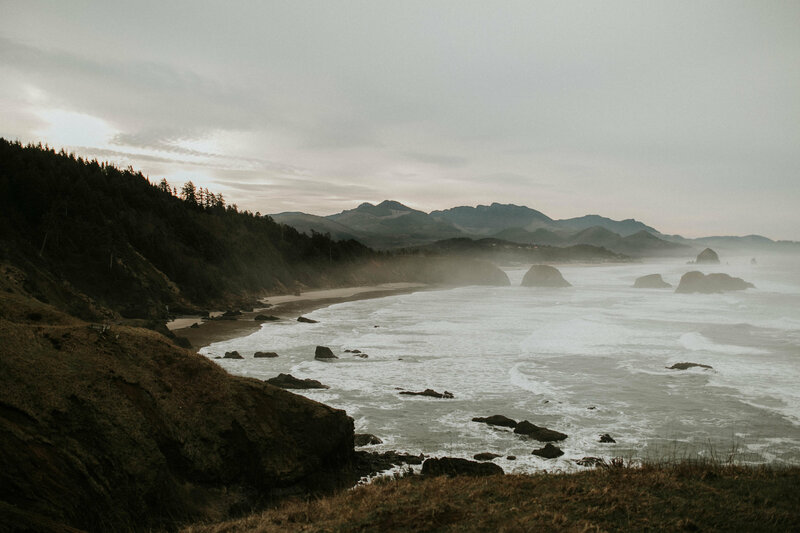 This little spot is probably my favorite place on the coast + I go as often as I can. 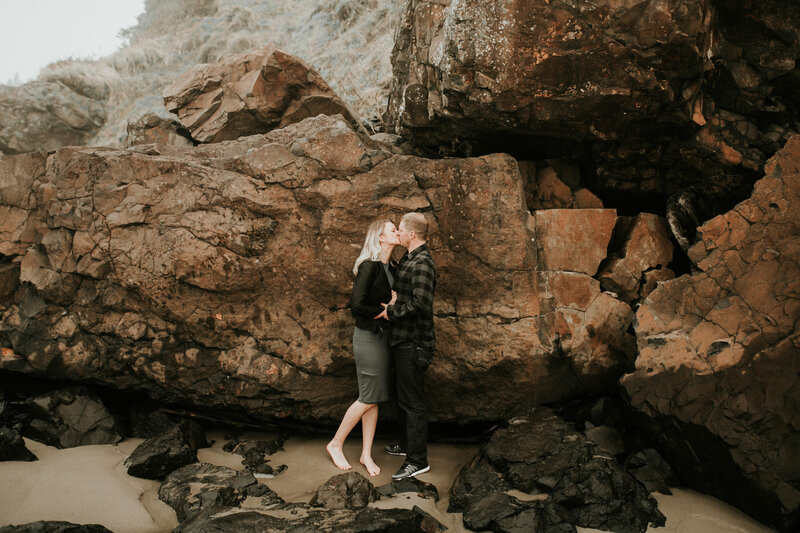 But not only is is beautiful, it’s where Brady proposed to Sondra months ago. 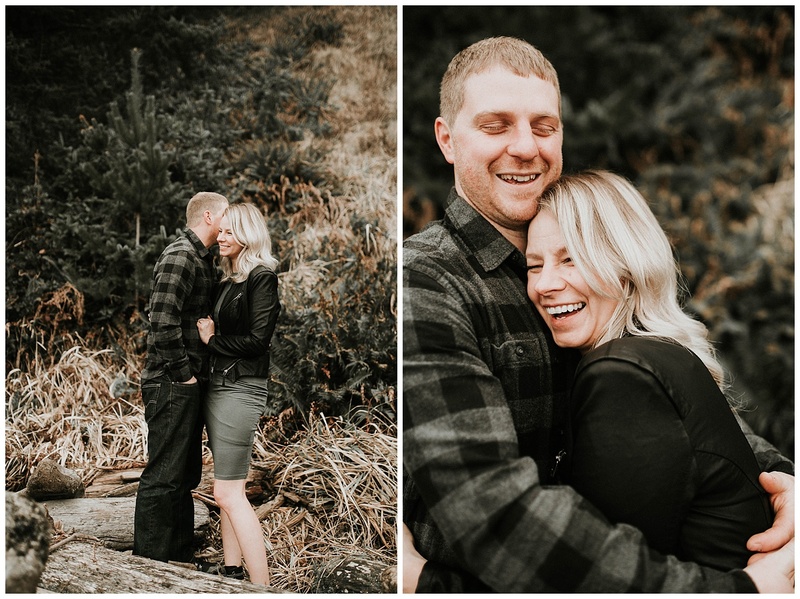 I love when couples share the sweet moments with me. 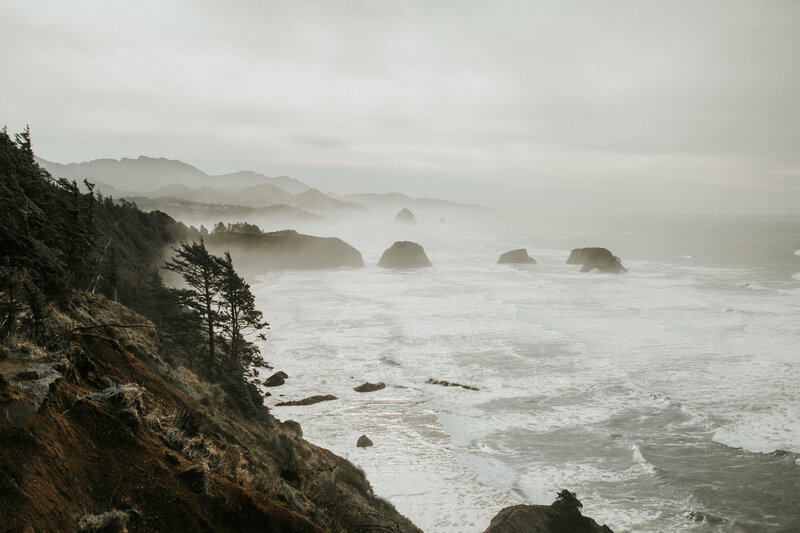 It was so much fun + I’m already planning many more coast trips because I love it so much out there.